Babbitt (1922), by Sinclair Lewis, is a satirical novel about American culture and society that critiques the vacuity of middle-class life and the social pressure toward conformity. The controversy provoked by Babbitt was influential in the decision to award the Nobel Prize in literature to Lewis in 1930. The word "Babbitt" entered the English language as a "person and especially a business or professional man who conforms unthinkingly to prevailing middle-class standards". After the social instability and sharp economic depression that followed World War I, many Americans in the 1920s saw business and city growth as foundations for stability. The civic boosters and self-made men of the middle-class represented particularly American depictions of success, at a time when the promotion of the American identity was crucial in the face of rising fears of Communism. At the same time, growing Midwestern cities, usually associated with mass production and the emergence of a consumer society, were also seen as emblems of American progress. George F. Babbitt, the novel's main character, was described by the 1930 Nobel Prize committee as "the ideal of an American popular hero of the middle-class. The relativity of business morals as well as private rules of conduct is for him an accepted article of faith, and without hesitation he considers it God's purpose that man should work, increase his income, and enjoy modern improvements." Although many other popular novelists writing at the time of Babbitt's publication depict the "Roaring Twenties" as an era of social change and disillusionment with material culture, modern scholars argue that Lewis was not himself a member of the "lost generation" of younger writers like Ernest Hemingway or F. Scott Fitzgerald. Instead, he was influenced by the Progressive Era; and changes in the American identity that accompanied the country's rapid urbanization, technological growth, industrialization, and the closing of the frontier. Although the Progressive Era had built a protective barrier around the upstanding American businessman, one literary scholar wrote that "Lewis was fortunate enough to come on the scene just as the emperor's clothes were disappearing." Lewis has been compared to many authors, writing before and after the publication of Babbitt, who made similar criticisms of the middle class. Although it was published in 1899, long before Babbitt, Thorstein Veblen's The Theory of the Leisure Class, which critiqued consumer culture and social competition at the turn of the 20th century, is an oft-cited point of comparison. Written decades later, in 1950, David Riesman's The Lonely Crowd has also been compared to Lewis's writings. Zenith is a typical midsize Midwestern city. Lewis was very critical of the similarities between most American cities, especially when compared to the diverse—and in his view, culturally richer—cities of Europe. Frowning on the interchangeable qualities of American cities, he wrote: "it would not be possible to write a novel which would in every line be equally true to Munich and Florence." This is not true of Zenith, Babbitt's literary home. Zenith is a fictitious city in the equally fictitious Midwestern state of "Winnemac," adjacent to Ohio, Indiana, Illinois, and Michigan. (Babbitt does not mention Winnemac by name, but Lewis's subsequent novel Arrowsmith elaborates on its location.) When Babbitt was published, newspapers in Cincinnati, Duluth, Kansas City, Milwaukee, and Minneapolis each claimed that their city was the model for Zenith. Cincinnati had perhaps the strongest claim, as Lewis had lived there while researching the book. Lewis's own correspondence suggests, however, that Zenith is meant to be any Midwestern city with a population between about 200,000 and 300,000. While conducting research for Babbitt, Lewis kept detailed journals, in which he drafted long biographies for each of his characters. For his title character this biography even included a detailed genealogy, as well as a list of Babbitt's college courses. Zenith's major names and families are documented in these journals, and many of them emerge again in Lewis's later writings. Zenith's layout is also imagined in careful detail. Lewis drew a series of 18 maps of Zenith and outlying areas, including Babbitt's house, with all its furnishings. Zenith's chief virtue is conformity, and its religion is boosterism. Prominent boosters in Zenith include Vergil Gunch, the coal dealer; Sidney Finkelstein, the ladies' ready-to-wear buyer for Parcher & Stein's department store; Professor Joseph K. Pumphrey, owner of the Riteway Business College and "instructor in Public Speaking, Business English, Scenario Writing, and Commercial Law"; and T. Cholmondeley "Chum" Frink, a famous poet of dubious talent. As a realtor, George Babbitt knows well the virtues of his home city. In a speech to the Zenith Real Estate Board, he states: "It may be true that New York, Chicago, and Philadelphia will continue to keep ahead of us in size. But aside from these three cities, which are notoriously so overgrown that no decent white man, nobody who loves his wife and kiddies and God's good out-o'-doors and likes to shake the hand of his neighbor in greeting would want to live in them—and let me tell you right here and now, I wouldn’t trade a high-class Zenith acreage development for the whole length and breadth of Broadway or State Street!—aside from these three, it’s evident to any one with a head for facts that Zenith is the finest example of American life and prosperity to be found anywhere." Zenith is thus presented as more than simply prosperous; it is safe and wholesome. Lewis has been both criticized and congratulated for his unorthodox writing style in Babbitt. One reviewer said "There is no plot whatever... Babbitt simply grows two years older as the tale unfolds." Lewis presents a chronological series of scenes in the life of his title character. After introducing George F. Babbitt as a middle-aged man, "nimble in the calling of selling houses for more than people could afford to pay," Lewis presents a meticulously detailed description of Babbitt's morning routine. Each item Babbitt encounters is explained, from the high-tech alarm clock, which Babbitt sees as a marker of social status, to the rough camp blanket, a symbol of the freedom and heroism of the West. As he dresses for the day, Babbitt contemplates each article of his "Solid Citizen" uniform, the most important being his Booster's club button, which he wears with pride. The first seven chapters follow Babbitt's life over the course of a single day. Over breakfast Babbitt dotes on his ten-year-old daughter Tinka, tries to dissuade his 22-year-old daughter Verona from her newfound socialist leanings, and encourages his 17-year-old son Ted to try harder in school. At the office he dictates letters and discusses real estate advertising with his employees. Babbitt is professionally successful as a realtor. Much of his energy in early chapters is spent on climbing the social ladder through booster functions, real estate sales, and making good with various dignitaries. According to Babbitt, any "decent" man in Zenith belonged to at least two or three "lodges" or booster clubs. They were good for potential business partnerships, getting time away from home and family life, and quite simply because "it was the thing to do." Babbitt admits that these clubs "stimulated him like brandy" and that he often finds work dull and nerve-wracking in comparison. Lewis also paints vivid scenes of Babbitt bartering for liquor (despite being a supporter of Prohibition) and hosting dinner parties. At his college class reunion, Babbitt reconnects with a former classmate, Charles McKelvey, whose success in the construction business has made him a millionaire. Seizing the opportunity to hobnob with someone from a wealthier class, Babbitt invites the McKelveys to a dinner party. Although Babbitt hopes the party will help his family rise socially, the McKelveys leave early and do not extend a dinner invitation in return. Gradually, Babbitt realizes his dissatisfaction with "The American Dream," and attempts to quell these feelings by going camping in Maine with his close friend and old college roommate Paul Reisling. When Babbitt and Paul arrive at the camp they marvel at the beauty and simplicity of nature. Looking out over a lake Babbitt comments: "I'd just like to sit here – the rest of my life – and whittle – and sit. And never hear a typewriter." Paul is similarly entranced, stating: "Oh it's darn good, Georgie. There's something eternal about it." Although the trip has its ups and downs, the two men consider it an overall success, and leave feeling optimistic about the year ahead. On the day that Babbitt gets elected vice-president of the Booster's club, he finds out that Paul shot his wife Zilla. Babbitt immediately drives to the jail where Paul is being held. Babbitt is very shaken up by the situation, trying to think of ways to help Paul out. When Paul is sentenced to a three-year jail term, "Babbitt returned to his office to realize that he faced a world which, without Paul, was meaningless." Shortly after Paul's arrest, Myra (Babbitt's wife) and Tinka go to visit relatives, leaving Babbitt more or less on his own. Alone with his thoughts, Babbitt begins to ask himself what it was he really wanted in life. Eventually, "he stumbled upon the admission that he wanted the fairy girl – in the flesh." Missing Paul, Babbitt decides to return to Maine. He imagines himself a rugged outdoorsman, and thinks about what it would be like to become a camp guide himself. Ultimately, however, he is disenchanted with the wilderness and leaves "lonelier than he had ever been in his life." Eventually Babbitt finds the cure for his loneliness in an attractive new client, Tanis Judique. He opens up to her about everything that happened with Paul and Zilla, and Tanis proves to be a sympathetic listener. In time, Babbitt begins to rebel against all of the standards he formerly held: he jumps into liberal politics with famous socialist/'single tax' litigator Seneca Doane; conducts an extramarital affair with Tanis; goes on various vacations; and cavorts around Zenith with would-be Bohemians and flappers. But each effort ends up disillusioning him to the concept of rebellion. On his excursions with Tanis and her group of friends, "the Bunch," he learns that even the Bohemians have rigid standards for their subculture. When Virgil Gunch and others discover Babbitt's activities with Seneca Doane and Tanis Judique, Virgil tries to convince Babbitt to return to conformity and join their newly founded "Good Citizens' League." Babbitt refuses. His former friends then ostracize him, boycotting Babbitt's real estate ventures and shunning him publicly in clubs around town. Babbitt slowly becomes aware that his forays into nonconformity are not only futile but also destructive of the life and the friends he once loved. Yet he continues with them – even after Myra suspects Babbitt's affair, though she has no proof or specific knowledge. Unrelated to these events, Myra falls seriously ill with acute appendicitis. Babbitt, in a near-epiphany, rushes home and relinquishes all rebellion in order to care for his wife. During her long recovery, they spend a lot of time together, rekindling their intimacy. In short time, his old friends and colleagues welcome Babbitt back into the fold. The consequence of his disgruntled philosophical wanderings being met with practical events of life, he reverts into dispassionate conformity by the end; however, Babbitt never quite loses hold of the sentimentality, empathy, and hope for a meaningful life that he had developed. In the final scene, all has been righted in his life and he is back on a traditional track. He is awakened in the night to find that his son Ted and Eunice, the daughter of his neighbor, have not returned from a party. In the morning his wife informs him that the two have been discovered in the house, having been married that night. While an assemblage of friends and family gather to denounce this development, Babbitt excuses himself and Ted to be alone. He offers his approval of the marriage stating that though he does not agree he admires the fact that Ted has chosen to lead his life by his own terms and not that of conformity. Although Lewis sought to portray the middle-aged American in Babbitt, he includes tidbits of his character's youthful dreams and ideals. Babbitt often reflects on his failed goal of becoming a lawyer. In college, he dreamed of defending the poor against the "Unjust Rich," and possibly even running for governor. He began practicing real estate in college to earn money for living expenses, but settled into real estate permanently shortly after marriage. Babbitt's best friend, Paul, is similarly haunted by unfulfilled dreams. A talented violinist, he had hoped when younger to study in Europe. When he and Babbitt leave for their trip to Maine, they stop off in New York, where Paul looks longingly at ocean liners set to cross the Atlantic. Paul still plays the violin on occasion; when he does "even Zilla was silent as the lonely man who lost his way ... spun out his dark soul in music." Despite having abandoned his former goals and ideals, Babbitt still dreams of a "fairy child": an imaginary woman full of life and gaiety who sees him not as a stodgy old businessman but as a "gallant youth." He imagines various women as his fairy child, including his secretary, a manicurist, his son's girlfriend, and finally Tanis Judique. Having failed in his aspirations to become a lawyer himself, Babbitt hopes his son, Ted, will go to law school. Ted, however, is hardly interested in finishing high school. Rather than focusing on college, Ted clips advertisements for correspondence courses and money-making schemes. In the novel's dramatic final scene Ted announces that he has eloped with his girlfriend, Eunice Littlefield, and intends to forgo college to become an engineer. Eunice is described as "movie crazy" and very modern in appearance, wearing her hair in a short bob and skirts that show off her knees. Babbitt's hopes for his elder daughter, Verona, consist mostly of her making a good marriage. Babbitt is concerned about her socialist-leaning political views. The books she reads, including poetry by Vachel Lindsay and essays by H. L. Mencken, particularly disturb him as threatening to the virtues of solid citizenship. Babbitt's younger daughter, Tinka, only ten at the start of the book, is doted upon and admired. The social critic and satirist H. L. Mencken, an ardent supporter of Sinclair Lewis, called himself “an old professor of Babbittry” and said that Babbitt was a stunning work of literary realism about American society. To Mencken, George F. Babbitt was an archetype of the American city dwellers who touted the virtues of Republicanism, Presbyterianism, and absolute conformity because "it is not what he [Babbitt] feels and aspires that moves him primarily; it is what the folks about him will think of him. His politics is communal politics, mob politics, herd politics; his religion is a public rite wholly without subjective significance." Mencken said that Babbitt was the literary embodiment of everything wrong with American society. In the cultural climate of the early 20th century, like-minded critics and Mencken's followers were known as "Babbitt-baiters". Despite Mencken's praise of Babbitt as unflinching social satire, other critics found exaggeration in Lewis's depiction of the American businessman. In the book review “From Maupassant to Mencken” (1922), Edmund Wilson compared Lewis's style in Babbitt to the more “graceful” writing styles of satirists such as Charles Dickens and Mark Twain and said that, as a prose stylist, Lewis's literary “gift is almost entirely for making people nasty” and the characters unbelievable. Concurring with Wilson that Lewis was no Twain, another critic dismissed Babbitt as “a monstrous, bawling, unconscionable satire” and said “Mr. Lewis is the most phenomenally skillful exaggerator in literature today.” Nonetheless, in its first year of publication, 140,997 copies of the novel were sold in the U.S. In the mid–1920s, Babbitt-baiting became an irritant to American businessmen, Rotarians, and the like, who began defending the Babbitts of the U.S. by way of radio and magazine journalism. They emphasized the virtues of community organizations and the positive contributions that industrial cities have made to American society. In American literature and popular culture, the character and behaviors of George F. Babbitt became established as negative archetypes of person and personality; a Babbitt is “a materialistic and complacent businessman conforming to the standards of his [social] set” and Babbittry is the “Philistine behaviour of a Babbitt”. Babbitt has been converted into films twice, a feat Turner Classic Movies describes as "impressive for a novel that barely has a plot." The first adaptation was a silent film released in 1924 and starring Willard Louis as George F. Babbitt. According to Warner Bros records it cost $123,000 and made $278,000 domestic and $28,000 foreign, being a total of $306,000. The second was a 1934 talkie starring Guy Kibbee. That version, while remaining somewhat true to Lewis's novel, takes liberties with the plot, exaggerating Babbitt's affair and a sour real estate deal. Both films were Warner Bros. productions. 1922 – Vachel Lindsay wrote a poem titled "The Babbitt Jambouree". 1927 – English author C. E. M. Joad published The Babbitt Warren, a scathing critique of American society. 1937 – English author J.R.R. Tolkien published The Hobbit; the title and the originally somewhat complacent and bourgeois character of Bilbo and hobbits in general were influenced by Babbitt. 1946 – The song "The Babbitt and the Bromide", by George and Ira Gershwin, featured in the film Ziegfeld Follies. 1960 – George Babbitt was a minor character in the film adaptation of Elmer Gantry. 1967 – Elizabeth Stevenson published a popular history of the 1920s titled Babbitts and Bohemians: From the Great War to the Great Depression. 1973 – In Philip Roth's The Great American Novel Gil Gamesh passes through Zenith when banished from the world of baseball (page 340). The novel places the city in Minnesota, however. ^ Hunter, Gordon. introduction to Babbitt by Sinclair Lewis (New York: Oxford University Press, 2010), ix–xi. ^ Love (1993), p. 42. ^ Ames, Russell. "Sinclair Lewis Again", College English 10, no. 2 (1948): 78. ^ Lewis, Sinclair Babbitt (New York: Harcourt, Brace and Company, Inc., 1922), 180. ^ Smith, Harrison (Ed.) Main Street to Stockholm: Letters of Sinclair Lewis, 1919–1930 (New York: Harcourt, Brace and Company, 1952), p. 59. ^ Wilson, Edmund. “From Maupassant to Mencken”, review of Babbitt, by Sinclair Lewis, Vanity Fair (December 1922): 25. ^ "Babbitt", review of Babbitt, by Sinclair Lewis, The North American Review 216 (1922): 716. ^ Hines (1967), pp. 132–134. ^ The New Shorter Oxford English Dictionary (1993) p. 162. ^ C. E. M. Joad, The Babbitt Warren (London: K. Paul, Trench, Trubner, 1926). ^ Jones, Leslie Ellen. J.R.R. Tolkien: A Biography. Greenwood, 2003, p. 83-84. ^ Bramlett, Perry C. I am in Fact a Hobbit Macon: Mercer University Press, 2003, p. 32-33. Hutchisson, James M. "All of Us at 46: The Making of Sinclair Lewis' Babbitt," Journal of Modern Literature 18, no. 1 (1992): 98. Theodore Herman Albert Dreiser was an American novelist and journalist of the naturalist school. His novels often featured main characters who succeeded at their objectives despite a lack of a firm moral code, and literary situations that more closely resemble studies of nature than tales of choice and agency. Dreiser's best known novels include Sister Carrie (1900) and An American Tragedy (1925). Henry Louis Mencken was an American journalist, essayist, satirist, cultural critic and scholar of American English. He commented widely on the social scene, literature, music, prominent politicians and contemporary movements. His satirical reporting on the Scopes trial, which he dubbed the "Monkey Trial", also gained him attention. Dodsworth is a satirical novel by American writer Sinclair Lewis, first published by Harcourt Brace & Company in March 1929. Its subject, the differences between US and European intellect, manners, and morals, is one that frequently appears in the works of Henry James. Elmer Gantry is a satirical novel written by Sinclair Lewis in 1926 that presents aspects of the religious activity of America in fundamentalist and evangelistic circles and the attitudes of the 1920s public toward it. The novel's protagonist, the Reverend Dr. Elmer Gantry, is initially attracted by booze and easy money and chasing women. After various forays into evangelism, he becomes a successful Methodist minister despite his hypocrisy and serial sexual indiscretions. 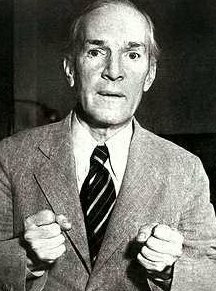 Upton Beall Sinclair Jr. was an American writer who wrote nearly 100 books and other works in several genres. Sinclair's work was well known and popular in the first half of the 20th century, and he won the Pulitzer Prize for Fiction in 1943. Arrowsmith is a novel by American author Sinclair Lewis, first published in 1925. It won the 1926 Pulitzer Prize. Lewis was greatly assisted in its preparation by science writer Paul de Kruif, who received 25% of the royalties on sales, although Lewis was listed as the sole author. Arrowsmith is an early major novel dealing with the culture of science. It was written in the period after the reforms of medical education flowing from the Flexner Report on Medical Education in the United States and Canada: A Report to the Carnegie Foundation for the Advancement of Teaching, 1910, which had called on medical schools in the United States to adhere to mainstream science in their teaching and research. Irving Babbitt was an American academic and literary critic, noted for his founding role in a movement that became known as the New Humanism, a significant influence on literary discussion and conservative thought in the period between 1910 and 1930. He was a cultural critic in the tradition of Matthew Arnold and a consistent opponent of romanticism, as represented by the writings of Jean-Jacques Rousseau. Politically he can, without serious distortion, be called a follower of Aristotle and Edmund Burke. He was an advocate of classical humanism but also offered an ecumenical defense of religion. His humanism implied a broad knowledge of various moral and religious traditions. His book Democracy and Leadership (1924), is regarded as a classic text of political conservatism. Babbitt is regarded as a major influence over American cultural and political conservatism. Joseph Hergesheimer was an American writer of the early 20th century known for his naturalistic novels of decadent life amongst the very wealthy. Elmer Gantry is a 1960 American drama film about a con man and a female evangelist selling religion to small-town America. Adapted by director Richard Brooks, the film is based on the 1927 novel of the same name by Sinclair Lewis and stars Burt Lancaster, Jean Simmons, Arthur Kennedy, Shirley Jones and Patti Page. Arthur Wheelock Upson was an American poet. He was born in Camden, New York on January 10, 1877 to Spencer Johnson Upson and Julia Claflin. His family moved from New York to Saint Paul, Minnesota in 1894, with Upson entering the University of Minnesota with the class of 1898. There, he served as editor of the campus newspaper, the Minnesota Daily. Unable to complete the requirements for a degree due to his ill health, he was later awarded a degree in 1906 due to his literary success, becoming an instructor there the same year. Upson reworked the song "Hail! Minnesota", at the request of the school's president Cyrus Northrop, the song later becoming the state song of Minnesota and the alma mater of the University of Minnesota. Kingsblood Royal is a 1947 novel by American writer Sinclair Lewis. Mantrap is a 1926 novel by Sinclair Lewis. One of Lewis' two unsuccessful novels of the 1920s, the other being The Man Who Knew Coolidge. Mantrap is the story of New York lawyer Ralph Prescott's journey into the wilds of Saskatchewan, and of his adventures there. The novel spawned two separate film adaptations, Mantrap (1926), and Untamed (1940). The Man Who Knew Coolidge is a 1928 satirical novel by Sinclair Lewis. It features the return of several characters from Lewis' previous works, including George Babbitt and Elmer Gantry. Additionally, it sees a return to the familiar territory of Lewis' fictional American city of Zenith, in the state of Winnemac. Presented as six long, uninterrupted monologues by Lowell Schmalz, a travelling salesman in office supplies, the eponymous first section was originally published in The American Mercury in 1927.